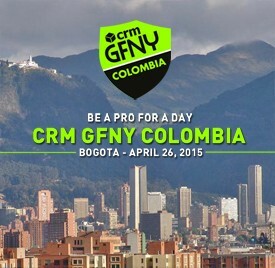 With the CRM GFNY Colombia on April 26, 2015, the GFNY World series adds the World’s Highest Gran Fondo. It’s no coincidence that it will take place in one of the most cycling-fanatic countries that has produced some of the world’s best climbers. The race will start in Colombia’s capital Bogotá at 8,660 feet and will travel as high as 11,000 feet. Two race distances are available: 104 miles and 60 miles. The official Grand Fondo New York website is: granfondony.com.